Starting in 2019, PPM’s annual holiday charity drive will be dedicated to gathering items for InterAct, the only provider of domestic violence and sexual assault services in Wake County. InterAct is committed to saving lives, rebuilding lives and securing safer futures for individuals and families in our community. PPM employees donate urgent need items each month to InterAct. If you are interested in donating please visit the InterAct website for more information and drop off your donation items at PPM anytime during business hours. For the sixteenth year, PPM has donated $5,000 to North State Bank’s Summer Salute. The event raises much-needed funds for Transitions LifeCare, enabling hundreds of people to receive hospice care they may not otherwise be able to afford. Please visit this year’s Summer Salute website for more information. PPM is proud to assist in such a worthy cause! PPM is committed to helping local families. For our 2018 holiday charity, PPM gathered items for donation to Note in the Pocket. Note in the Pocket provides clothing to impoverished and homeless schoolchildren in Wake County, with the core belief that it is unacceptable that children are limited in their educational and social development because they do not have appropriate clothes for school. Thanks to the help of our employees, vendors, and property owners, PPM employees were able to drop off a significant amount of clothes (it took 3 SUVs!) and $2,800 cash prior to the holidays! PPM was a sponsor at the Eighth Annual Amberly Charity 5K Race which benefited the Food Bank of Central & Eastern North Carolina. The Food Bank of Central & Eastern North Carolina is a nonprofit organization that has provided food for the hungry across 34 counties for over 35 years. The race was held on Saturday, September 15. 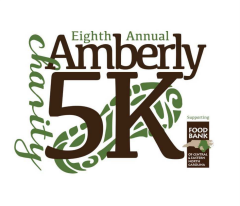 For more information about this annual event please visit the Amberly Charity 5K website. PPM employees give back to the community in many ways. One way that we do this is by donating urgent need items each month to InterAct of Wake County. Employees are also encouraged to take a workday each quarter and volunteer at an organization that they are passionate about.